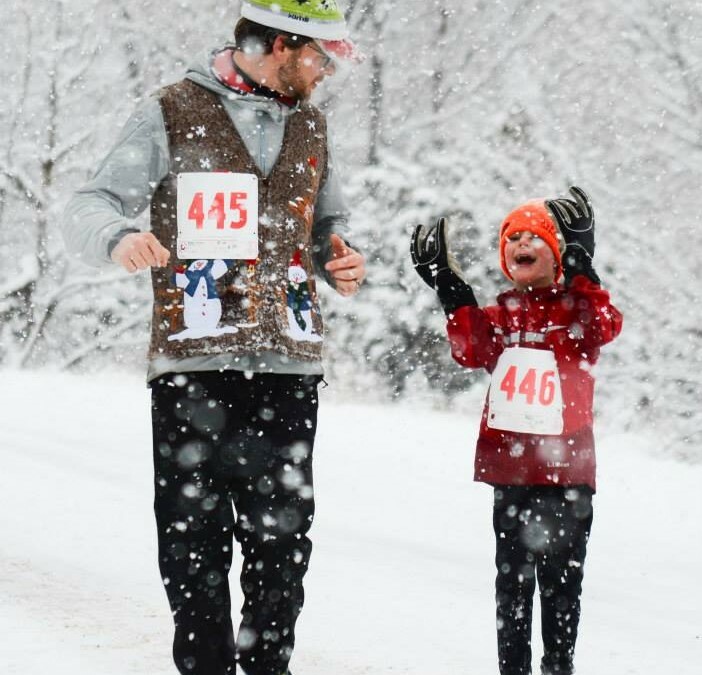 Despite the snowy weather there was a great turnout for this year’s edition of the Independence Run & Hike Jingle Bell 5K race & Ugly Sweater Contest. Glenwood Spring HS freshman Bryce Risner was the fastest of the bunch with Carbondale local Beth Broome taking the women’s race ahead of a superwoman clad and fast charging Annie Murphy. Lisa Jones walked away the winner of the Ugly sweater contest with a wild outfit that included some elf ears and lots of color! Fun was had by all for the race that benefitted the Glenwood HS Track Team. Happy Holidays!